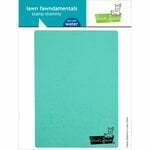 Allow for easy die cutting Sizzix chemically-etched and wafer-thin dies Thinlits, Framelits and Triplits with the Mini Aqua Cutting Pads by Sizzix. 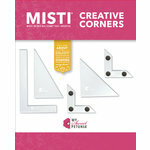 These cutting pads are designed for use with the Sidekick machine sold separately and they measure 4.875" x 2.5". Included in the package are two cutting pads that each measure 4 78" x 2 12" x 18". I have the old red side kick, but it wouldn't work for the thin dies. These aqua cutting pads are a little thicker than the clear ones; now, I can use my old side kick for the thin dies too. I'm a happy camper. It is great to be able to use my sidekick for smaller thinlet dies. Great addition to my original red sidekick machine. These cute little cutting pads are a perfect fit for my Sidekick machine. I like how the translucent plastic is clear enough to see through, so you can be sure your dies are correctly in place. I've also grabbed them when I was in a hurry and used them as acrylic blocks for my clear stamps. The color is pretty, too! I would love to see different colors of cutting pads offered in this size & thickness. Bought to replace needed tools. 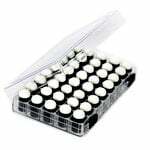 I ordered this mini cutting pad set to replace several sets that I have worn out. 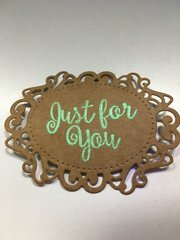 I use for scrap booking pages and much card making and this mini Sidekick is quick and easy to crab for a fast small die. Love the convenience! Now I can use my Red Sidekick to it's fullest potential! Now i can use my Older Red Sidekick to it's fullest potential! It now has a special place on my work surface. Thanks for having these cutting pads available. These plates allow you to use thinlets in your original sizzix sidekick. Your original plates are for the sizzlets. Tried them and they are perfect!! 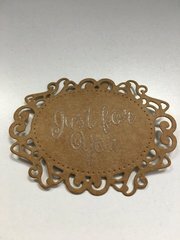 I purchased for my big kick and even though they are a little thicker I just alter the sandwich and the work fine for when I am doing smaller dies. Can these be used on the old sidekick? By: pcmarchi (19-Oct-17) Helpful Question? Yes | No Thank you! Report Inappropriate This question has been reported. Thank you! Yes you can. They work great with the thin dies. The die you use must fit on the plate. I used them yesterday. I have the old red sidekick. By: mebowden (20-Oct-17) Helpful Answer? Yes | No Thank you! Report Inappropriate This Answer has been reported. Thank you! Yes, they will work in the Original Red Sidekick. By: Finastar (17-Apr-18) Helpful Answer? Yes | No Thank you! Report Inappropriate This Answer has been reported. Thank you! I have the new Tim Holtz alterations Sidekick. Will the Aqua plates work on this machine? I can't find replacements for the smoke color. By: deedeedriver (16-Apr-18) Helpful Question? Yes | No Thank you! Report Inappropriate This question has been reported. Thank you! They do fit nicely in the Tim Holtz Sidekick. I just saw a listing for the smokey color pads "coming soon" to scrapbook.com, so if you love that color, wait a little longer. Or, you can grab the aqua ones right away! By: harki (29-Apr-18) Helpful Answer? Yes | No Thank you! Report Inappropriate This Answer has been reported. Thank you! 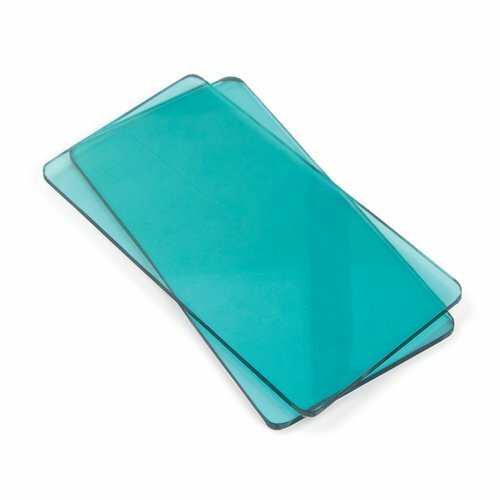 Will these aqua plates fit the new Stephanie Bernard Sidekick? By: bunnybmc (30-Jan-18) Helpful Question? Yes | No Thank you! Report Inappropriate This question has been reported. Thank you! Yes By: artsygal (17-Apr-18) Helpful Answer? Yes | No Thank you! Report Inappropriate This Answer has been reported. Thank you! yes they fit great By: KoriGene (01-Feb-18) Helpful Answer? Yes | No Thank you! Report Inappropriate This Answer has been reported. Thank you! I have the original red sidekick & really love it! These aqua plates are great for cutting; however, when are you going to carry the embossing pad individually for those of us who don't want to purchase a new machine? Can one of the thinner plates be used? By: KlondikeSuzie (23-Jan-18) Helpful Question? Yes | No Thank you! Report Inappropriate This question has been reported. Thank you! 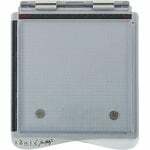 I just saw the Sidekick embossing pad listed for $3- they've got them in stock! By: harki (29-Apr-18) Helpful Answer? Yes | No Thank you! Report Inappropriate This Answer has been reported. Thank you!